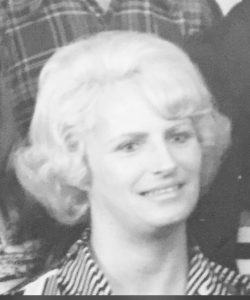 Deborah J. Keller, 73, lifelong resident of Merrimack, NH died Wednesday May 30, 2018 at the Community Hospice House in Merrimack after a long illness. She was born in Nashua, NH on Jan. 2, 1945 a daughter of the late Arthur C. and Evelyn D. (Tobin) Longa. Debbie’s biggest joys were celebrating holidays and birthdays, her grandchildren, and spending time at Moody Beach, ME. She was a teacher in Nashua for 34 years. In addition to her parents, she is pre-deceased by a brother A. Toby Longa. Members of her family include her husband of 47 years, George “Chip” Keller of Merrimack, a daughter Kristie Jones and her husband Russ, and their children Camden and Bridey of West Newbury, MA; a son Toby Keller and his wife Karen and their children Riley and Hadley of Kenmore, WA; a sister Robin Galleher and her husband Jerry of Brunswick, ME; and several nieces, nephews and cousins.